​Around 1950, plans were underway to build a new dam in the lower Colorado River, with the junction near Truxton. In anticipation of the traffic, Donald Dilts opened the Truxton Cafe and Clyde McCune built a service station across the street. This was the official beginning of the town of Truxton. However, plans for the dam were abandoned and the town maintained itself from travelers passing through on Route 66. In 1957, the Truxton Cafe and adjacent Motel were purchased by Ray and Mildred Barker. 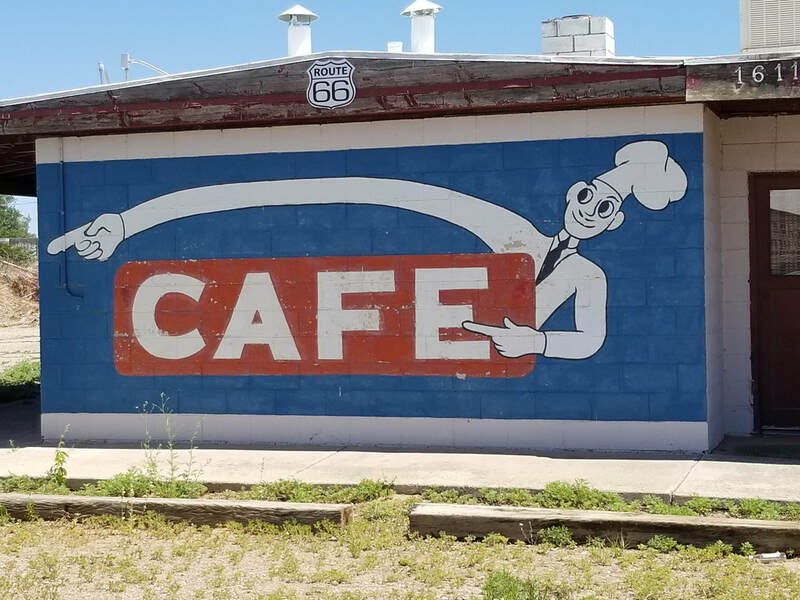 The Cafe became a favorite stopping place for regular travelers of this section of Route 66 offering some of the best food (and homemade pie) to be found on the Route. The Barkers were founding members of the Historic Route 66 Association of Arizona. They were instrumental in seeing that Route 66 was put back on the map, and are both deeply missed.